The answer is immediately! Once a nail fungus infection is discovered, everyday that it is allowed to go untreated is simply extending the amount of time you will need to eliminate it. If you detect an infection, find yourself a reputable nail fungus treatment and start the process. Fungi are live things that grow and multiply at great speed we the conditions are right. And living in a warm, protected and damp area underneath the nail beds of your toes is ideal for those little monsters! 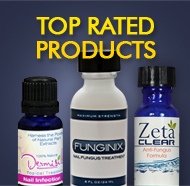 Small nail fungus infections are not nearly as difficult to treat as severe nail fungus conditions. Once the fungal agents have really dug in and gotten a grip on one or more toenails, you will never know how long it will take to fully kill the infection. Standard treatment times range from 4 weeks to a full year and beyond and the more severe the infection, the longer the treatment time. People often make the mistake of thinking that a nail fungus infection will simply take care of itself. This can happen, but is extremely rare. And in almost all cases of toenail fungus, an ignored infection gets worse and harder to treat. In fact, many of the best topical treatments for nail fungus become much less effective when applied to severe nail fungus infections. The reason for this is that once a fungal infection has had the time to get deeply entrenched, it becomes systemic and the infection often then cannot be eliminated from the outside of the body. This means that even the most powerful topical solutions are not as useful and the sufferer may need to seek prescription medication from a podiatrist. And these medications often have very severe side effects, and some cannot be taken with other medications. The way to avoid all of this nonsense is to treat your nail fungus infection the moment you notice it. The nail bed starts to lose its natural color in any way. Depending on the type of fungal infection, this discoloration could come in the form of small, yellowish dots, a milky or “cloudy” look to the nail bed or a dark spot or tone to a corner of the infected nail. The nail bed begins to look wavy and lose it’s normal shape. Sometimes, a nail will begin to form ridges and lose the smooth, flat surface as fungal agents begin to attack the area beneath the nail bed. Thickness and roughness of the nail will follow and at this point, it is without questions a nail fungus infection. At this point, it is absolutely critical to make an appointment with a podiatrist or medical professional to discuss treatment options. Safe yourself the enormous hassle of fighting a severe nail fungus infection by starting treatment as soon as possible. Examine your feet regularly, take care of your finger and toenails often and know the symptoms of nail fungus so you can stay fungus-free! This entry was posted on Friday, January 25th, 2013 at 6:15 pm and is filed under Good Nail Care Habits, Onychomycosis, Toenail Fungus Treatments, Topical Treatments. You can follow any responses to this entry through the RSS 2.0 feed. You can leave a response, or trackback from your own site.